E.S.P. is a high-potency stimulant driven pre-workout product designed to deliver maximal energy while controlling focus. Using a specialized scoop, you determine the amount you use so that you can dial in your need based on the workout you are doing. 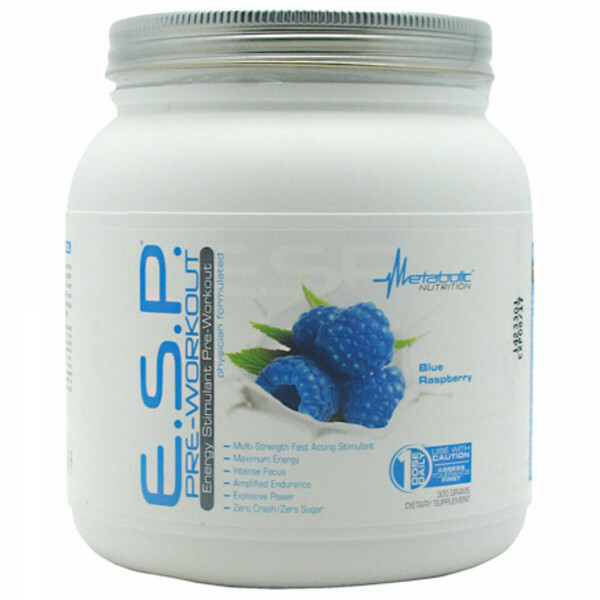 Because of the scientifically engineered combination of ingredients, E.S.P. provides laser-like focus without the high stimulant post-crash drop off commonly seen in other pre-workout products. With E.S.P., getting amped up and powering through workouts has never been so easy. Do not use with any other weight loss supplement, prescription or over the counter medicine. Always consult your physician before consuming this supplement. Discontinue use and immediately consult your health care professional if you experience any adverse reaction to this product or have any health concerns that may be impacted upon after taking this supplement. Do not exceed recommendations for Suggested Use. Do not exceed recommended daily intake. PLEASE FOLLOW ALL INSTRUCTIONS ON BOTTLE. HAVING MORE THAN THE RECOMMENDED DOSE IS NOT ADVISED. KEEP OUT OF REACH OF CHILDREN. - the replacement or modification of parts of the anatomy in persons or animals.